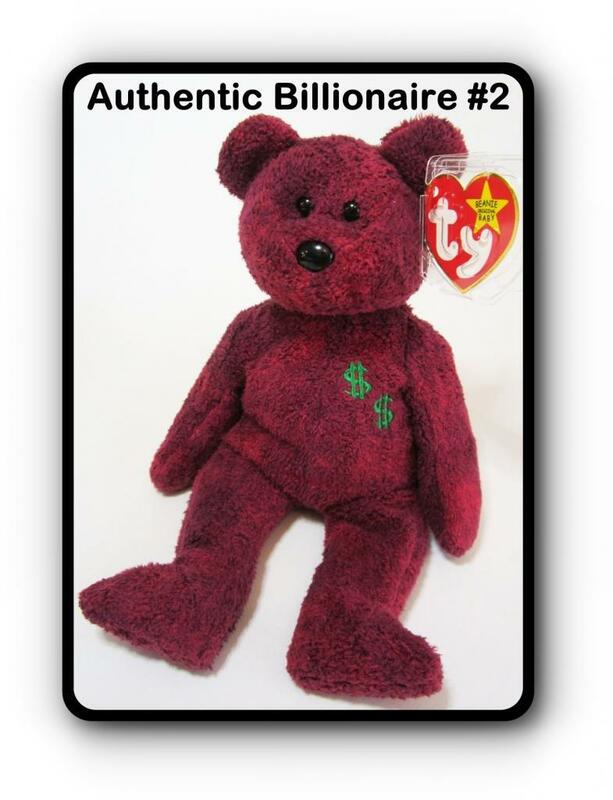 The Ty Beanie Baby Billionaire #2 Bear Video discusses all the details of an authentic Billionaire Bear. 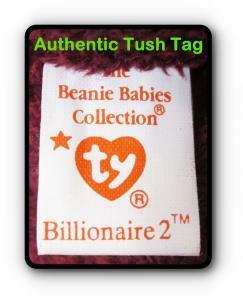 Below the video are pictures of the Authentic Ty Billionaire #2 Beanie Baby, as well as the hang and tush tags. 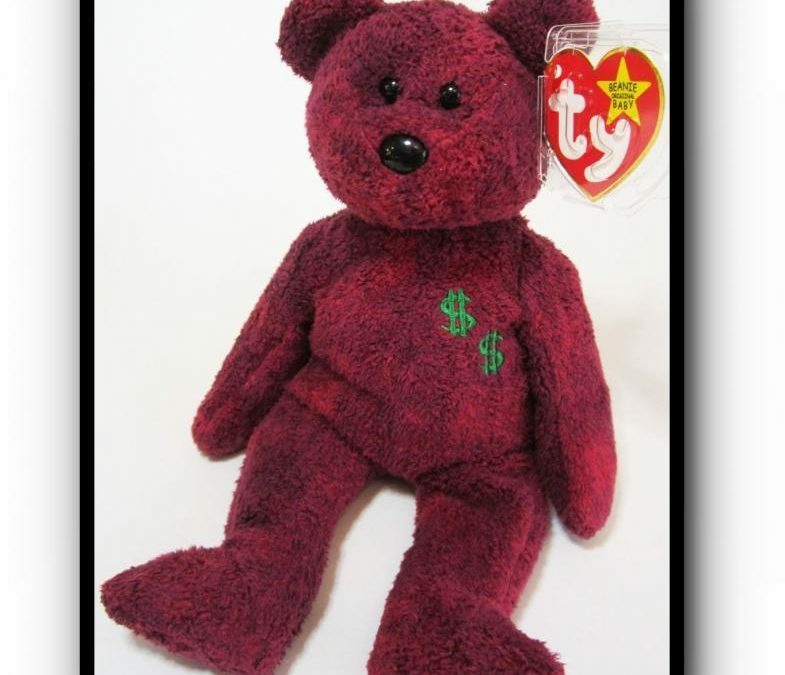 Billionaire #2 Bear has a multi-color soft terry cloth type of fabric consisting of a variety of maroon, red and magenta colors. There are 2 small dollar signs embroidered on his chest in a kelly-green color. 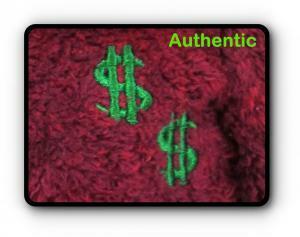 A close up picture of the 2 embroidered dollar signs. The inside of the hang tag is signed, and hand numbered, by Ty in gold ink. There were only 475 of these Bears produced. 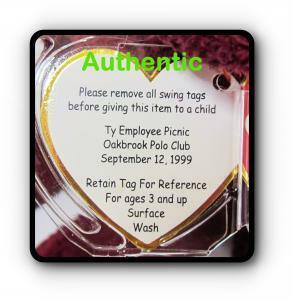 The back of Billionaire #2 Bear’s hang tag shows the Ty event where the Bears were handed out – Ty Employee Picnic Oakbrook Polo Club September 12, 1999. The ONLY tush tag that came on Billionaire #2 is a 6th generation. 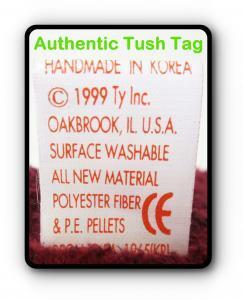 These tushes ONLY came with a 1999 copyright date and “HANDMADE IN KOREA”, not China.